Did you miss these seven surprising stories on our blog this summer? Did you read ‘Four Things You Don’t Expect on a Narrowboat Holiday’, or how two intrepid narrowboats overcome algae and other obstacles on the Old Bedford River? Starting from spring, here’s a roundup of the surprisingly true adventures we had during this year’s cruising season. 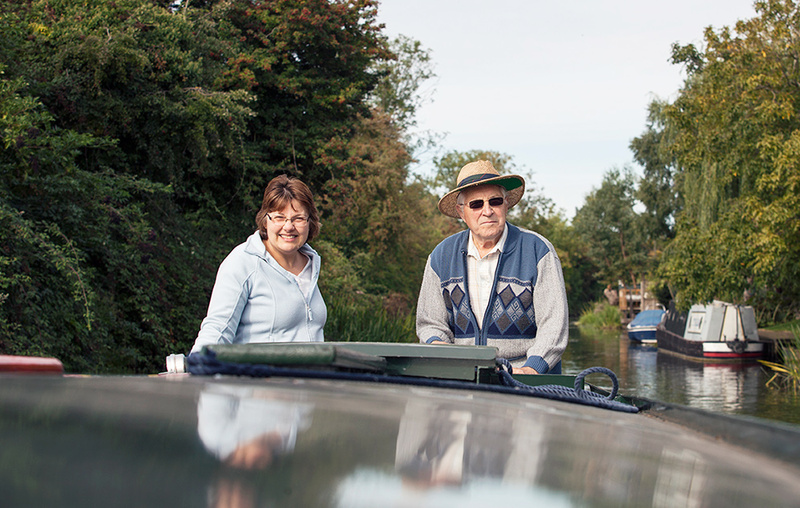 6) On 19th July River Nene locals, Jan Pickles Price and her husband Haydn, launched a free online canal guide that’s based on Google Maps. The response was fantastic; they received over 100 registrations for the site on the first day: New Website Takes Canal Navigation into the Digital Age. However, the summer is definitely over now and the poles and planks have been removed from our hire boats. We’ve started our winter maintenance jobs, and bookings are already coming in for the 2018 season so there’s plenty for us to be getting on with. If you’re curious to know how we ‘winterise’ a narrowboat check out our 3 basic steps to help you protect your narrowboat or canal boat from the cold. If you want to join us for an awesome day out, or a week on the waterways next summer check availability here: Book Narrowboat Hire Online.